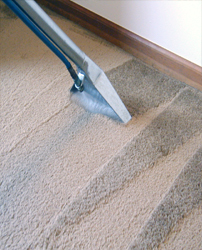 We use top-of-the-line equipment (HydraMaster TruckMount) to tackle both residential and commercial carpet. 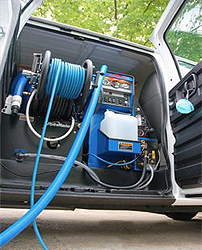 We start off with a deep enzyme and traffic lane pre-treatment (Pet Safe) that will loosen tough soils and stains. We will then bring in the extreme steam to finish the job! What makes our company different from other companies is our "double-stroke dry" rule, where we actually duplicate each drying stroke to provide a quick 1-2 hour drying time. Our work is 100% Guaranteed. If you're not satisfied, we will offer a full refund! We also clean Sofas, Sectionals, Loveseats, and Chairs. Depending on the type of fabric and material, we will pre-treat the furniture to break up the dirt, spores, and stains. We will then use our HydraMaster to bring the steam! Residential: We service the following cities of Michigan: Trenton, Grosse Ile, Woodhaven, Southgate, Riverview, Flat Rock, Brownstown, Wyandotte, Taylor, and Brownstown. Commercial: We service all of South-Each Michigan.